BUFFALO, N.Y. -- U.S. Attorney James P. Kennedy, Jr. announced today that Jose Alvarez, 26, of Buffalo, NY, pleaded guilty before U.S. District Court Judge Lawrence J. Vilardo to conspiracy to possess with intent to distribute, and to distribute, butyryl fentanyl. The charge carries a maximum penalty of 20 years in prison and a $1,000,000 fine. Assistant U.S. Attorney Brendan T. Cullinane, who is handling the case, stated that on July 27, 2017, Drug Enforcement Administration and Homeland Security Investigations Special Agents executed a search warrant on Alvarez’s vehicle. During the search, agents recovered 20 bags of butyryl fentanyl, a Schedule I controlled substance. The investigation determined that the defendant, along with his co-defendants, were staying at a hotel and casino located in Salamanca. Subsequently, a search warrant was executed in their hotel room, where agents recovered another 196 bags of butyryl fentanyl. Alvarez also admitted selling butyryl fentanyl on three prior occasions in Salamanca in May and July of 2017. The plea is the result of an investigation by the Drug Enforcement Administration, under the direction of Special Agent-in-Charge James J. Hunt; Immigration and Customs Enforcement, Homeland Security Investigations, under the direction of Special Agent-in-Charge Kevin Kelly; the NYS State Police Bureau of Criminal Investigation, under the direction of Major Edward Kennedy; and the Southern Tier Regional Drug Task Force, under the direction of Cattaraugus County Sheriff Timothy Whitcomb. 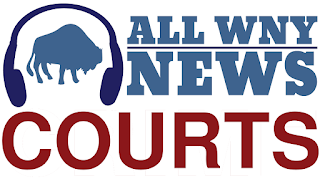 Sentencing is scheduled before Judge Vilardo for January 31, 2019, at 10:30 a.m.